Although I’ve had the opportunity to photograph NCAA Football in the past (Army vs. Navy, Navy vs. Notre Dame, and others), I’ve never taken photos during an NFL game before and doing it for the first time and watching the Seahawks in on Monday Night Football, the experience was amazing! I wanted to share a few of my favorite photos from the game. All of the photos are available in our photos section of the website or on Flickr. 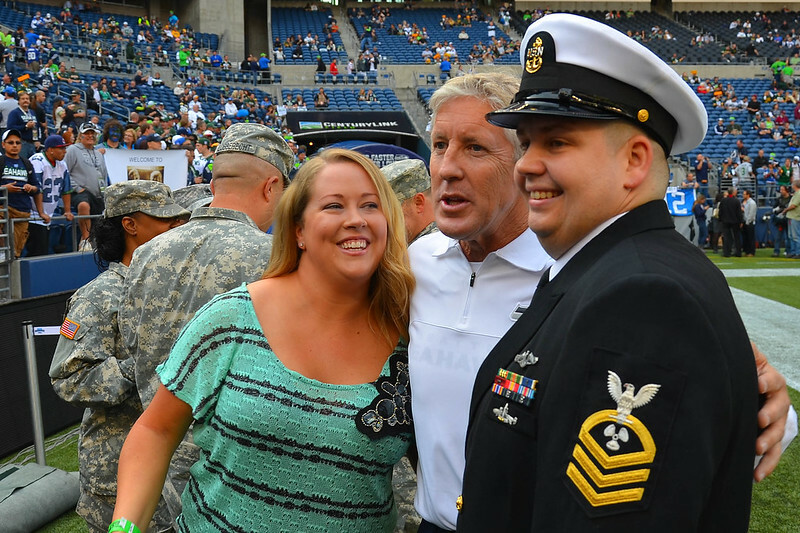 One of the great things the Seahawks do for the military is allow members to reenlist on the field (subject to limited availability) prior to kickoff. Coach Pete Carroll even came over to shake hands and pose for a few photos. 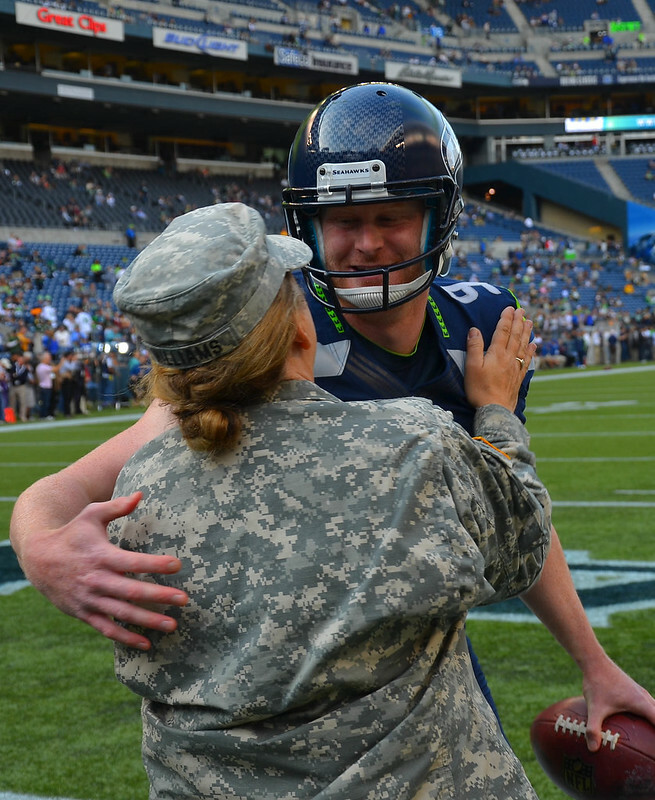 Military Sea Hawkers President Traci Williams got a big hug from punter Jon Ryan. 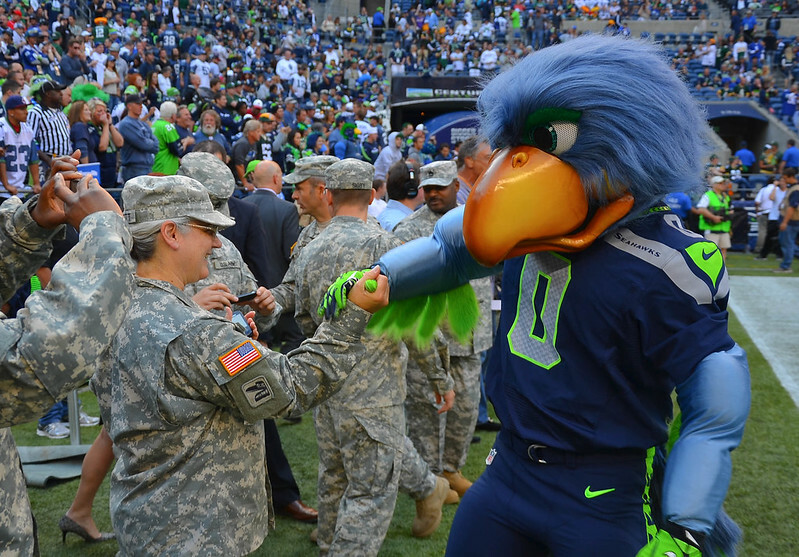 Seahawks mascot Blitz also came by to show his appreciation. 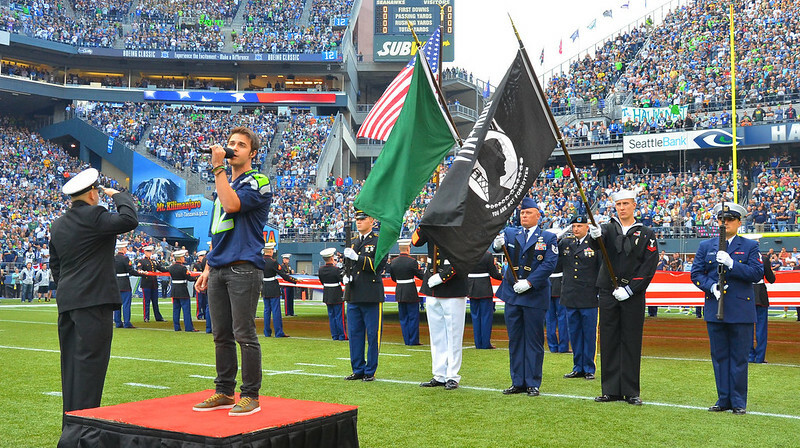 Our Military Sea Hawkers Color Guard backed Kris Allen, winner of American Idol season 8. 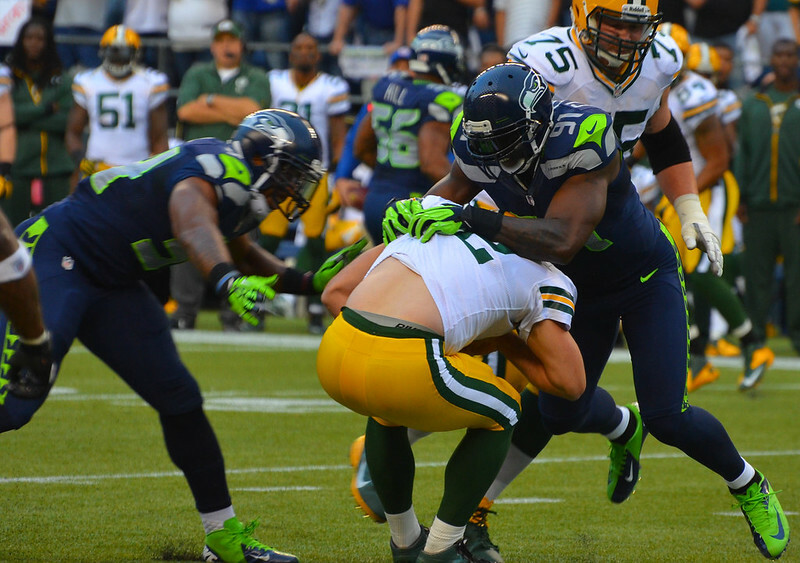 The Seahawks defense came out strong and Chris Clemons tied an NFL record with four sacks in a single quarter. 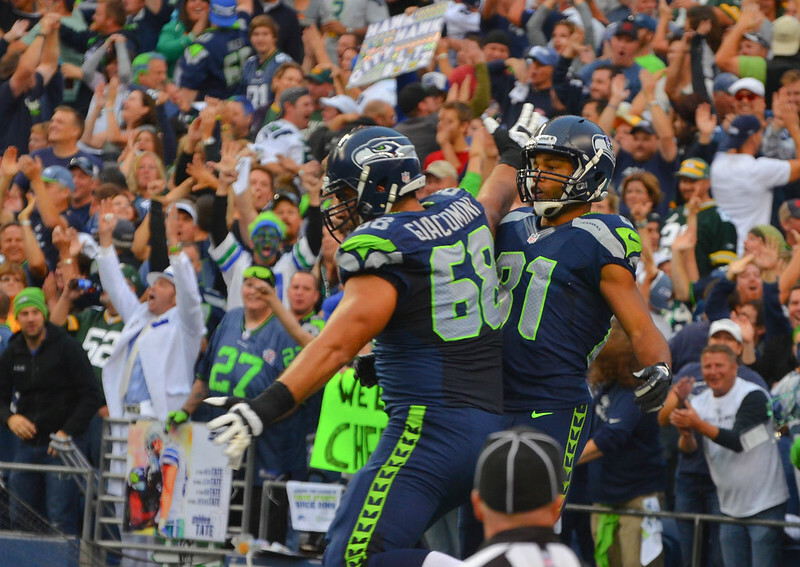 Golden Tate and Breno Giacomini celebrate the Seahawks first touchdown of the game to go up 7-0. 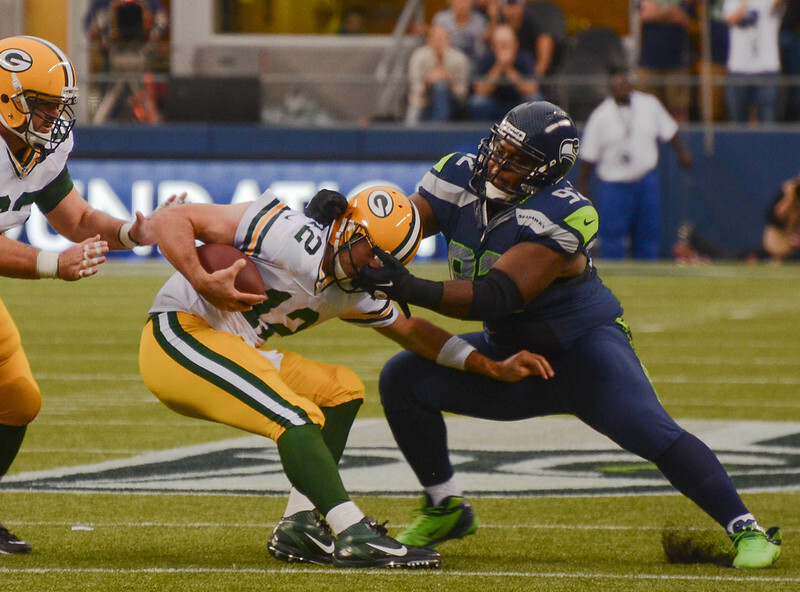 Brandon Mebane and the Seahawks defense continue to punish Aaron Rodgers. Mebane would have had three sacks if not for the facemask call on this play. Marshawn Lynch had another big game in the second half. 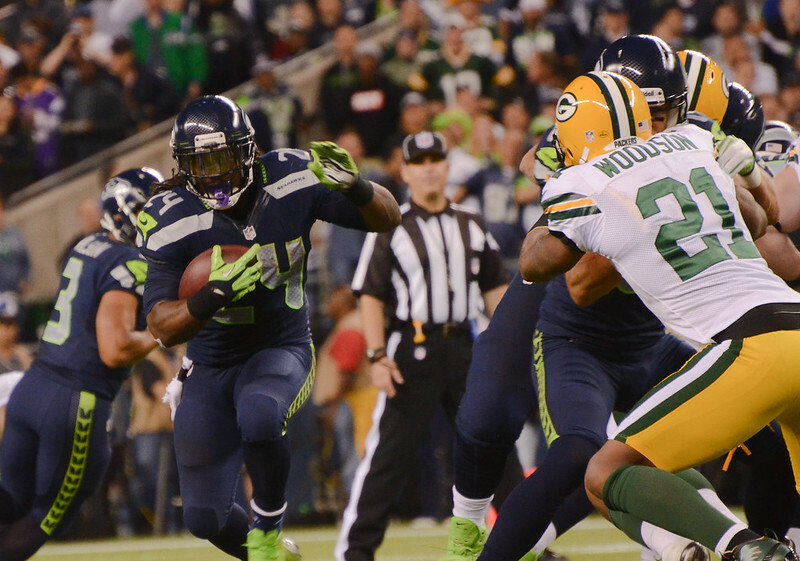 Lynch finished the game with 98 yards on 25 carries. 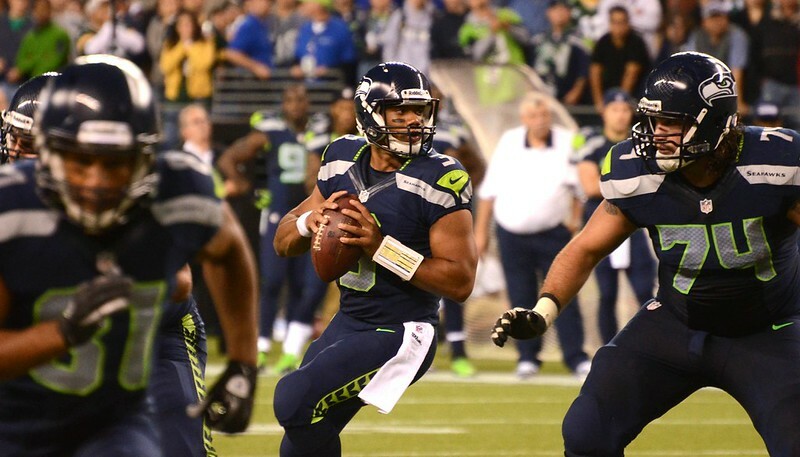 The Seahawks offensive line did well to give Russell Wilson a lot of time, particularly on the final drive of the game where he completed a deep pass to Sidney Rice before connecting with Golden Tate for the game winning touchdown. 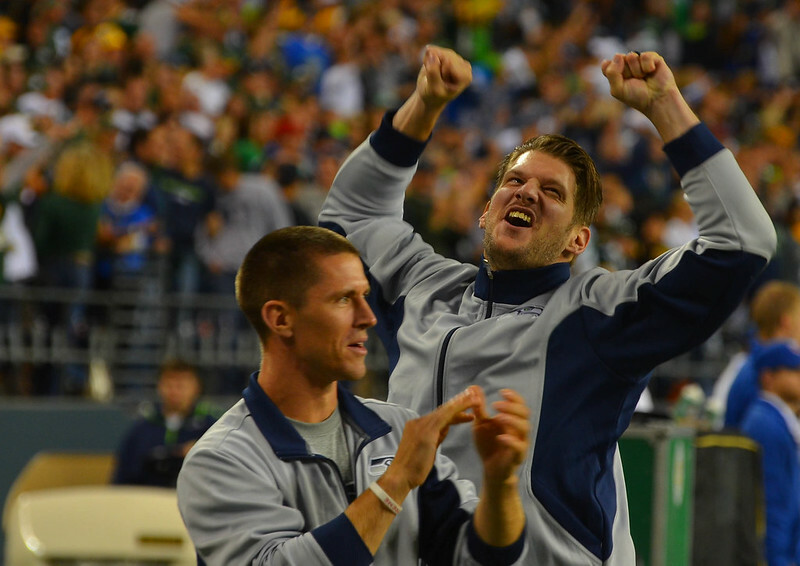 This is how I felt after the referees reviewed the call and confirmed the touchdown catch. 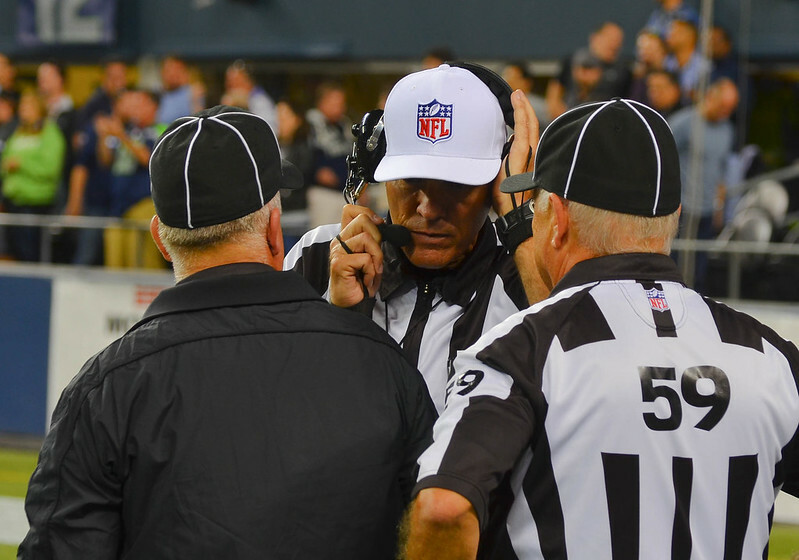 NFL Commissioner Roger Goodell immediately gets a hold of the referees to tell them that they’ve called their last game.